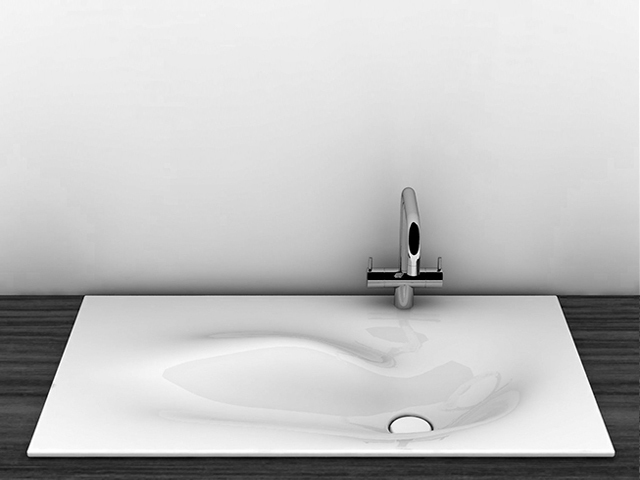 If It's Hip, It's Here (Archives): Kanera's Custom Made Furniture For Their Beautiful Undulating Wash Basins. 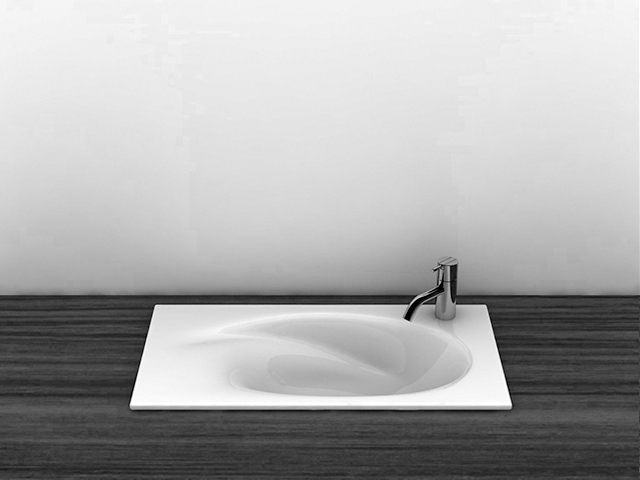 Kanera's Custom Made Furniture For Their Beautiful Undulating Wash Basins. About four years ago I wrote a post on some lovely custom made sinks made by Germany's Kanera whose basins, with their undulating forms, let the water pool like little natural lakes. 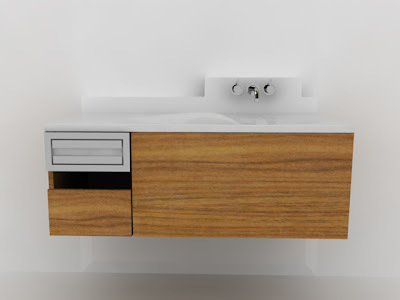 Since that post, Kanera has discontinued The Kanera D model and added the smaller Kanera 1X. 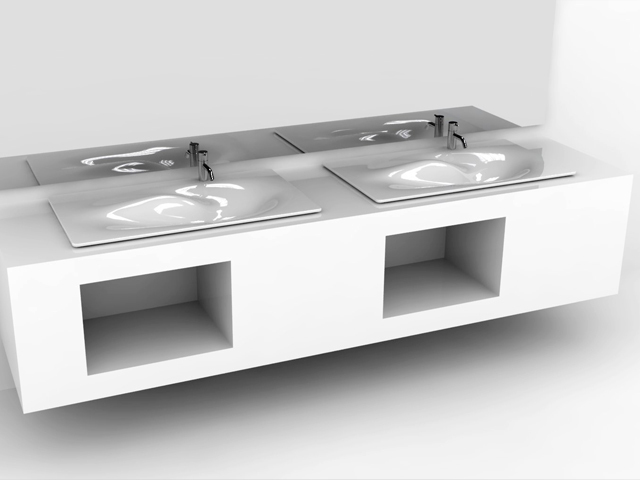 Custom-made furniture is now available to complement these modern Kanera washbasins. 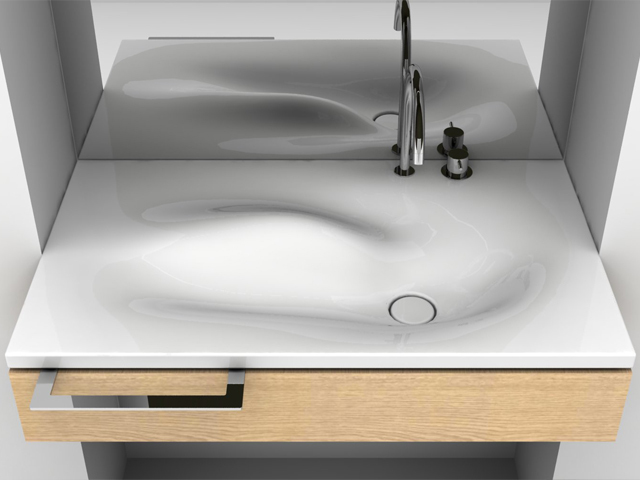 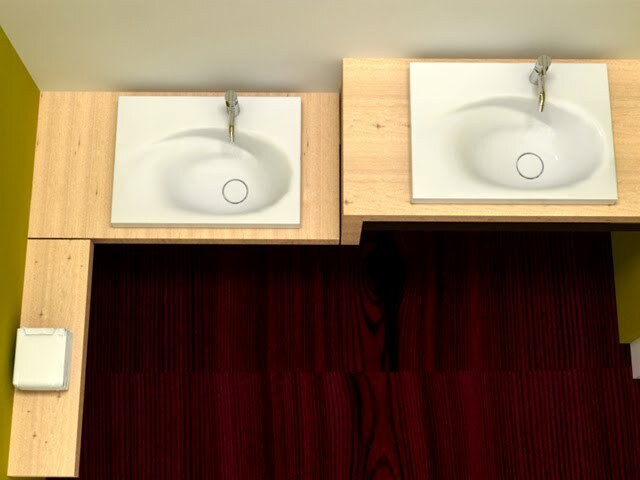 Their washbasin units are made according to the customers' design guidelines as well as their furnishing requirements, which are tailored to each individual building project. 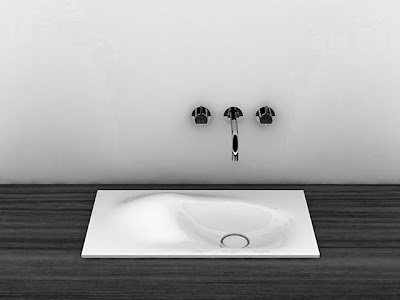 The Kanera 1E, 1H and 1X sinks, made of enamelled steel, are available as wall mounted washbasins or counter top inset vessels or in custom made bathroom furnishings, like the ones shown in this post, by Kanera. 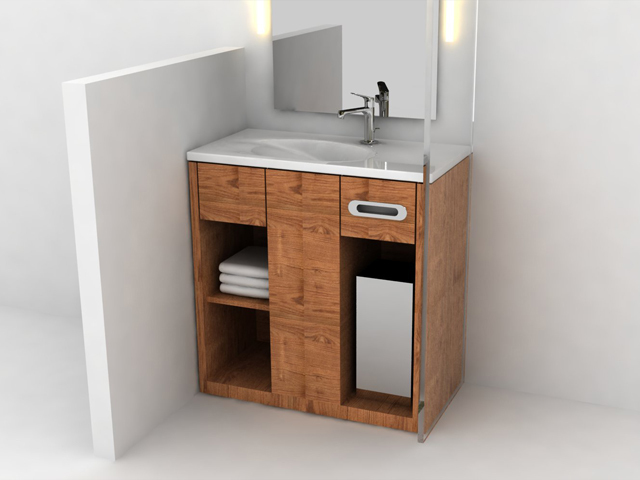 All washstand models can be custom-made with individual trough position up to a total length of approx. 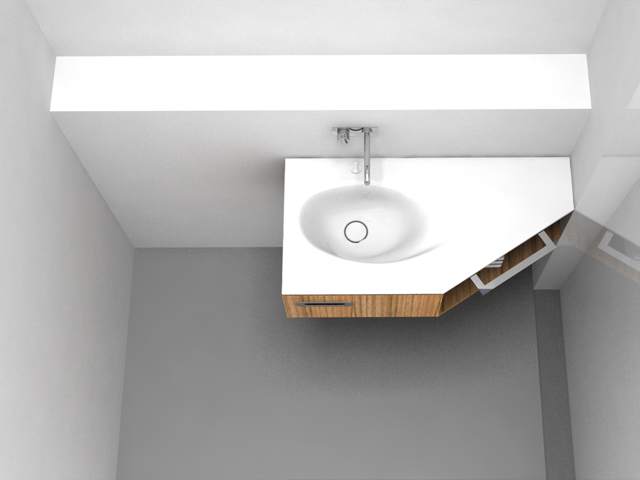 1800 mm. If clients so wish, all washstands can be supplied with drilled faucet and special plumbing holes. 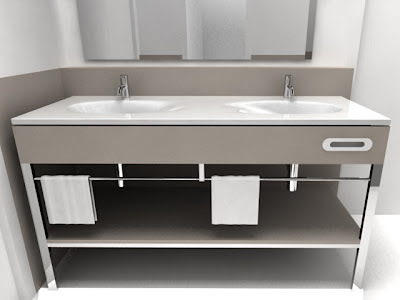 For the enameled steel washstands there is a choice of drainage system with or without an overflow. Double washbasin units are also available. 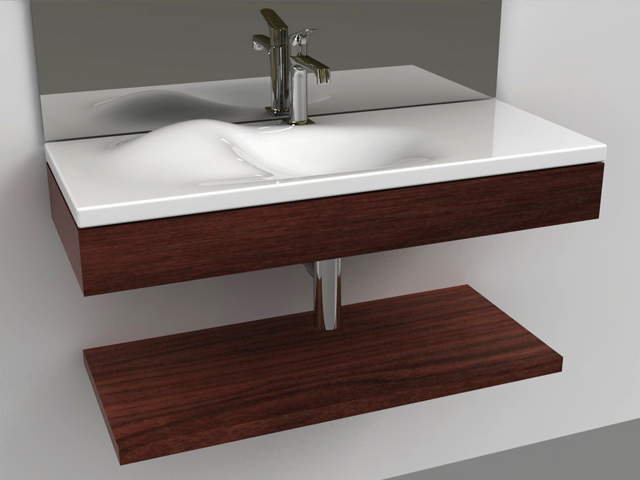 Kanera offers you an integrated consultation service spanning all stages in the design of your washbasin unit. From choosing the right washbasin model to deciding on your requirements in terms of functionality and furnishings, as expert partners in your building project we support you in each individual phase of the process. From simple hand-drawn sketches to professional renderings, upon request we will also compile all the necessary documents on product presentation and specification for you. 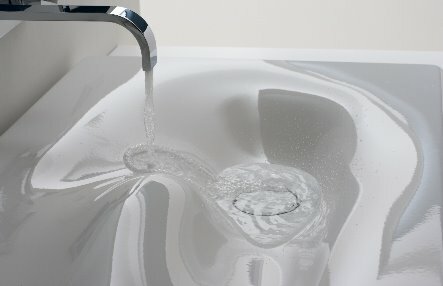 You can now purchase some of their sinks in their online store.